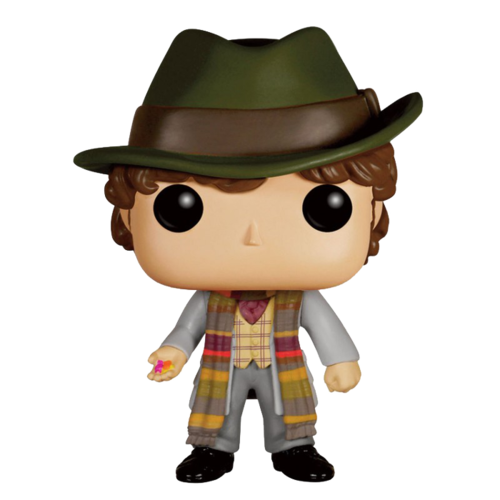 Here you have the 4th Doctor (Tom Baker) featuring a completely new colour scheme and instead of holding his Screwdriver he has his ever present jelly beans in an outstretched hand. You can almost hear him saying "Would you like a jelly baby?" 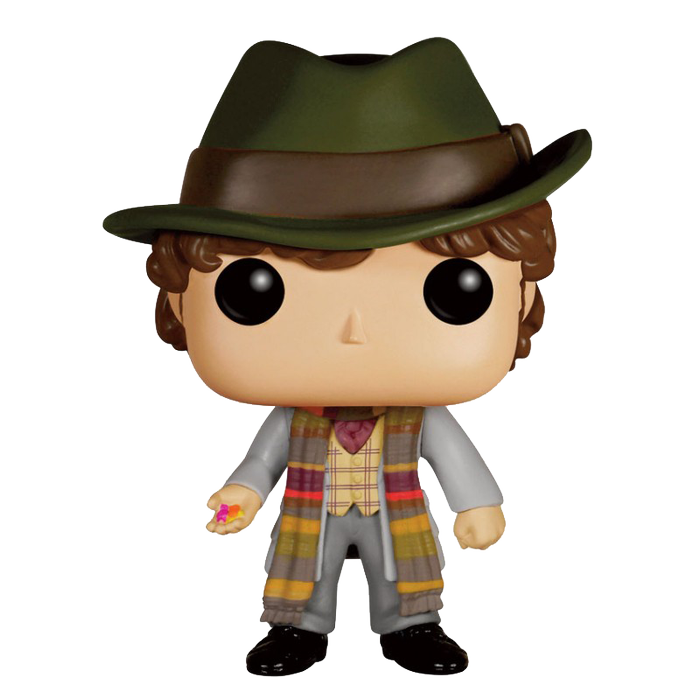 This Doctor Who 4th Doctor with Jelly Babies Pop Vinyl Figure stands around 9cm tall and comes packed in an illustrated box.